I have a model 29 no dash, with a box, my question is the box original. 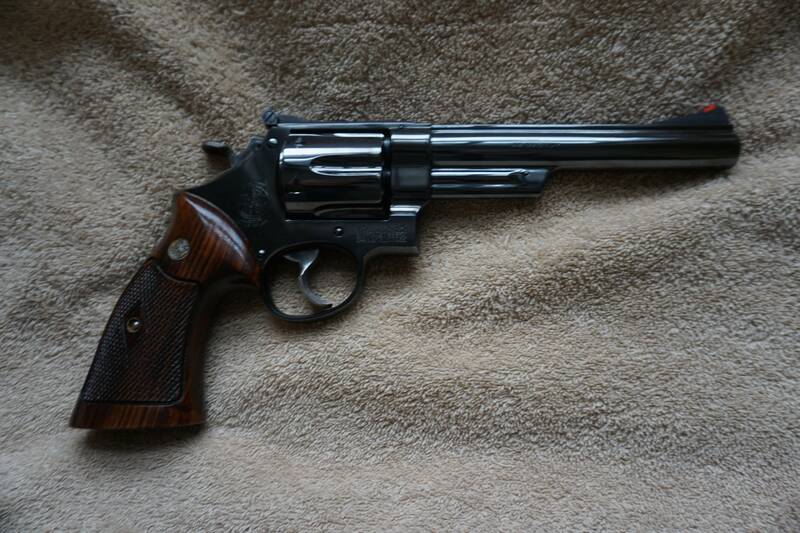 There is no serial number on the box and only has Smith and Wesson on the box. combat, ussmanlovede36, Bob K and 6 others like this. That's only one question. 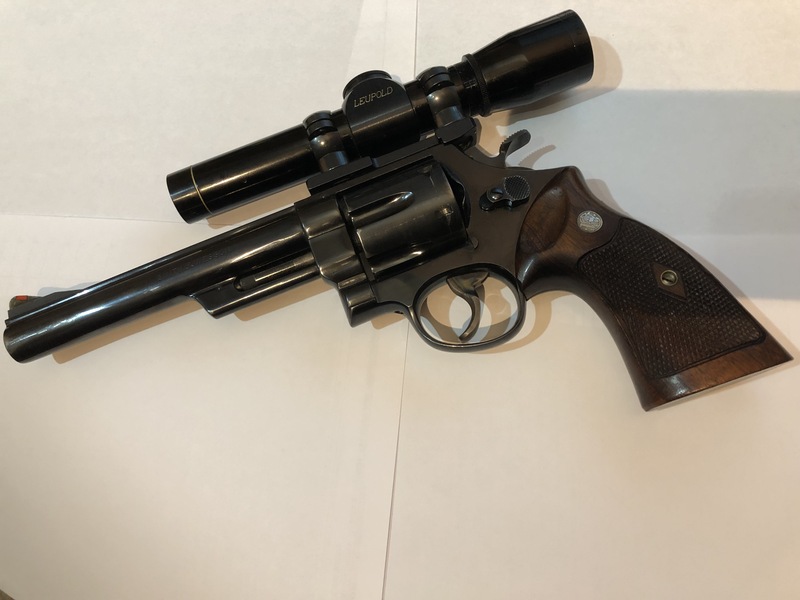 It looks correct to me..very nice ensemble..
S&W. Insurance for life. Get busy living,or get busy dying.. Check the bottom of the box for the serial number of the gun written in white grease pencil. Sometimes a flashlight or digital photo will help you to see the remnants of the numbers. combat and Minorcan like this. Thanks I appreciate the advice. When I get home will check. 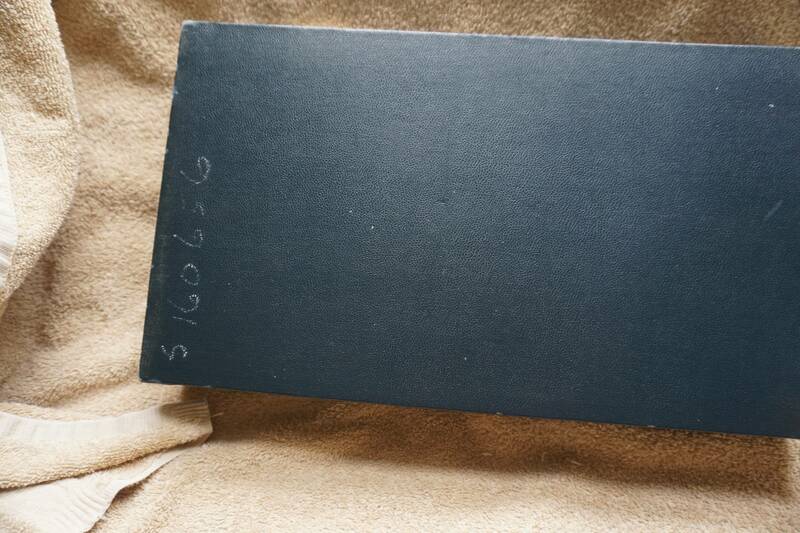 I am not aware that the serial number was ever placed on the wooden presentation boxes. Cardboard or plastic boxes, yes, especially ones with labels. Knowledge should be shared and not hoarded. That's a presentation case. Do you have the shipping box with the label on it? The presentation case goes along with the target Hammer, Target trigger, red ramp front sight and the cokes. If you have the tools, papers, and shipping box you would have a very nice package. But what you do have is still very nice. Congratulations! Breakaway500 and delcrossv like this. The mahogany presentation case didn't come about until sometime in 1960. 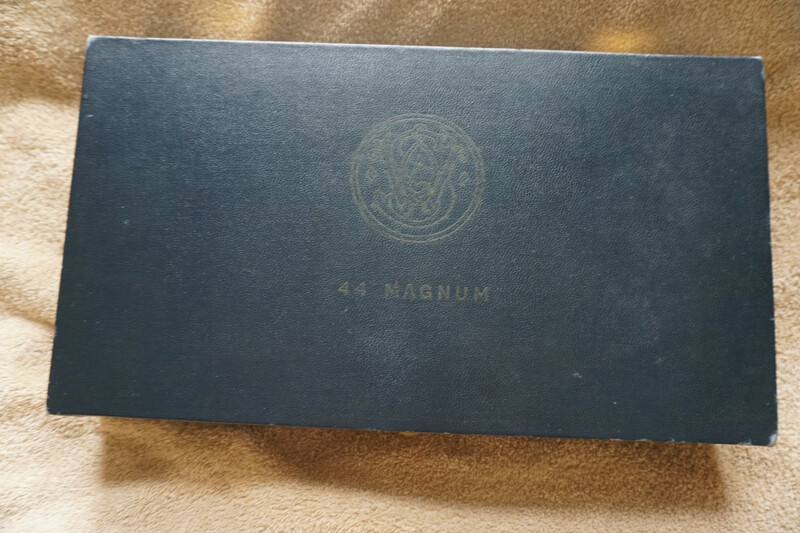 The early .44 Magnums shipped in a blue box which later changed to a black pebble grained box. Either the blue or black box would have originally had the gun's serial number on the bottom in white grease pencil. If you really want to get the facts Doc44 on the blue forum is your guy. Yep, Bill's the man for 44 mags. The "leatherette" boxes had the S/N's on them, per Doc44. The pebble grain ones were first, then the smooth vinyl. My 5 screw pre-29 was one of the first 150 shipped (pebble grain box, w/S/N on the bottom). Last edited by delcrossv; 04-15-2019 at 10:03 AM. Breakaway500, WendyZXZ and Wiregrassguy like this. My pre 29 is in the S171 range. No box unfortunately.